Unfortunately, many people have lost off-plan deposits due to Spanish property disputes not being handled effectively. This results in losing large sums of money which can prove difficult to receive back without professional help. During the Spanish financial crisis in 2008, many property developers filed for bankruptcy, meaning that those who invested were left with unfinished property’s and loss of deposits, as well as stage payments. By virtue of this, they were left with no other option other than to abandon developments and due to unforeseen financial circumstances expenses were never refunded. If you require immediate attention and would like your current case to be considered in greater detail, our soliciting practice incorporates the knowledge and skills required to settle disagreements. Here at Sarah Waddington Solicitors, we will effectively review, assess and evaluate your case to guarantee we gain all the necessary information needed to meritoriously solve your lost deposit property issue. Whether the case is minor or major, we always reflect on the final outcome. Therefore, if you are sceptical about the Spanish Legal System, we will assist all your legal and individual requirements, ensuring a reclaim of your rightfully deserved payment. •	Did your builder or developer go bankrupt during the Spanish Property crash? •	Were you left with an unfinished property? •	Did you lose your deposits and stage payments? We can help you get your money back! 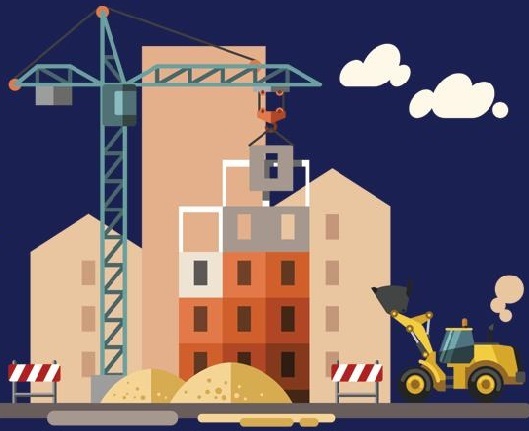 As part of the Spanish Law, builders and developers who received deposits for property expansions were informed that they placed this money into a completely separate account and provide customers with a bank guarantee. This litigation meant that if developers unfortunately failed to complete the building work, they would have set aside enough funding to make returning payments to the customer. When this law was first created, legal authorities made it clear that developers should observe and conform to these requirements. However, when the property crash hit in 2008, it became obvious that contractors did not respect and keep this money safe, meaning that they could not repay customers the deposits they acquired during the first stages of development. 2008 was the period of financial despair for developers in Spain. The country was unable to remove themselves from the situation due to a lack of funds and financial backing. When the crash first established, the Spanish government took a step back when supervising the financial sector which led to the banks violating regulations and resulted in economic cutbacks. On 21 December 2015, the Spanish Supreme court issued a landmark judgment that the property developer’s bank is responsible for missing money deposited in their accounts. Holding them jointly responsible for the lost deposits, property developers and Spanish Banks could now be pursued for a reclaim of the misplaced payment. In the UK, there were around 100,00 investors who were thought to have submitted payment to developers in Spain, with the hope that their dream holiday home would-be built-in time for their next trip. When financial crisis occurs it undoubtably leaves residents in distress as they have lost an excessive amount of money, leaving them unsure as to whether they’ll ever obtain this deposit again. As Spanish banks are worthied liable to refund all deposits made on unfinished properties, entities who have suffered from the recession could receive their refunds, which includes the original capital lost plus a rate of interest. It is essential to remember that each case is complex and you can only submit a claim through the courts once. Before seeking legal entitlement and progression, we recommend being fully prepared to ensure you have all relevant paperwork and evidence required to continue with the financial dispute. If you choose to enlist our services, and in the case where we may need to go to Court, this is an integral part and will increase your rate of success. When property developers went into administration, some tactically evaded making ongoing payments back to the customer, ensuring all of their expenditure was reimbursed. However, when preparing for your repayment you must be aware that improperly taking action against accountable banks will dramatically decrease your overall chances of victory within your dispute. You still have the ability to reclaim your binding agreement, confirming that the legal entitlement remains valid. Alongside pursuing the guidance from specialists, we always inform clients that this process comes at an affordable cost, however we certify it does not compromise the quality we input into each case. Baring in mind that we work on a no win, no fee basis, it is guaranteed you will not miss out on your rightful entitlement. Over the years, our legal representatives have tailored the consultation process and we now offer a free, no obligation assessment of your case, offering guidance and support in all aspects. We undertake a formal and professional service, aiming to triumph in opulence for your personal legal settlement. With the necessary experience to efficiently handle each individual requirement, we acquire the ability to deal with the Spanish court, holding complete jurisdiction when acting as one of your representatives. Helping you take action against the bank in order to receive full repayment, alongside an added interest on top, there is no better to way to resolve your financial implication than to get in touch with one of our legal experts. We are able to proficiently gain an insight into the individuals dispute and provide customers with a full understanding before beginning any processes. If you’ve lost money on an off-plan property, contact us today and we’ll immediately assist and create a case that will suffice against any bank. Call us on 01924 601112 to discuss your legitimation in further detail.